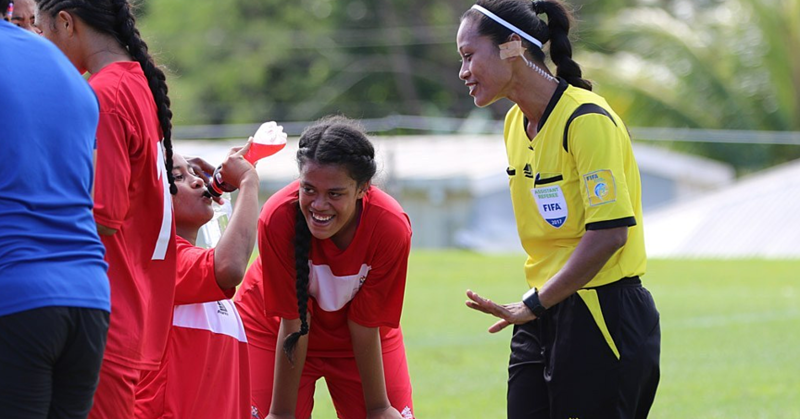 Maria Akenese Salamasina will be Samoa's lone representative at the FIFA Women's World Cup in France in June and July, where she will be working as an assistant referee. “This is a dream come true for me, this is the goal that I dreamed for," she said. “I’m very proud, I’m very happy that I’m the first Samoan women to go to the World Cup. “It’s good for the young women, if they saw me on the TV. “Not only men can do it." 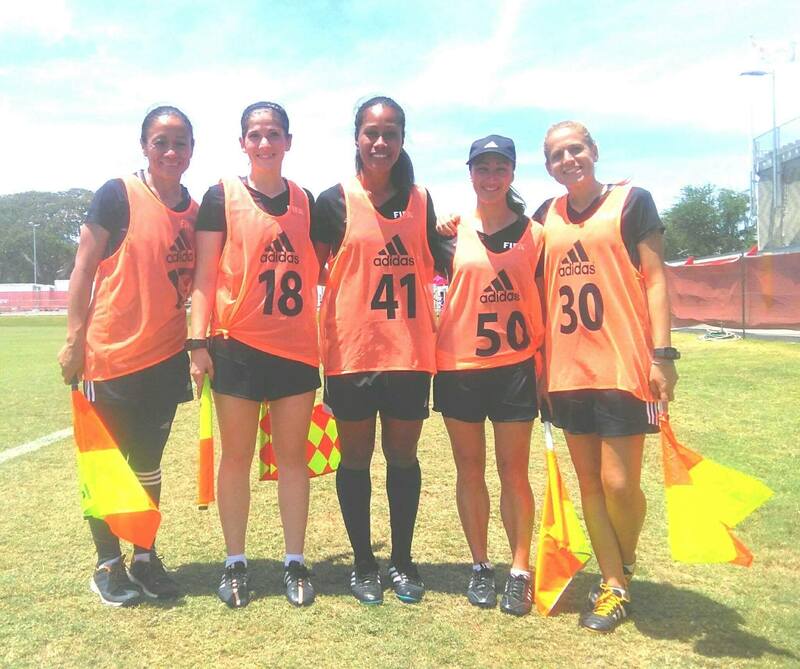 When Salamasina started refereeing in 2010, she looked at how other women got the top of the profession, and worked hard to follow their path. “What I needed to become a better referee, assistant referee." 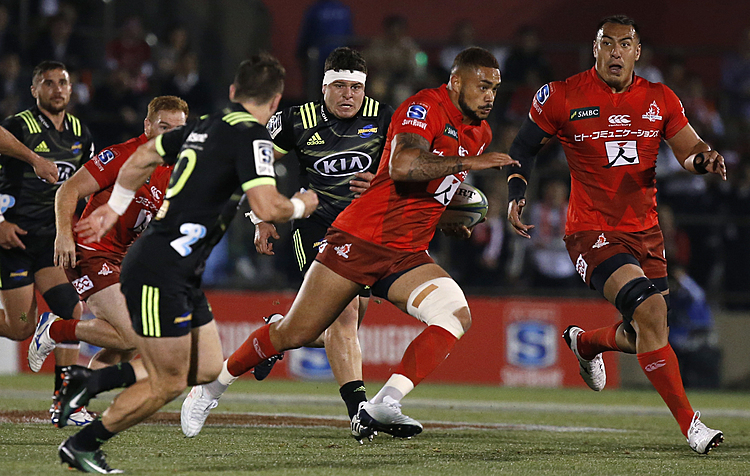 Salamasina, who is from Faleula, Faatoia and Asau, will leave tomorrow for a seminar in Doha, Qatar from the 29th of March to the 4th of April. The 75 referees and assistant referees for the World Cup are attending the seminar to prepare for the tournament. “They’re talking about the laws of the games, and reminding us about the new laws," said Salamasina. She said the main thing they will work on is the Video Assisted Referee (VAR) system. First used in full at the 2018 FIFA men's World Cup, the VAR reviews decisions made by the on-field referees using video footage. Salamasina said it will be difficult working with a system they haven't used before. “Before I’d make my own decisions, but now I’m nervous for the first time with VAR. “If I do the wrong decisions, we’ll go straight to the VAR [to overrule them]." She said it's more pressure for her but will be worth it, as what FIFA and all the referees want is the correct call to be made. 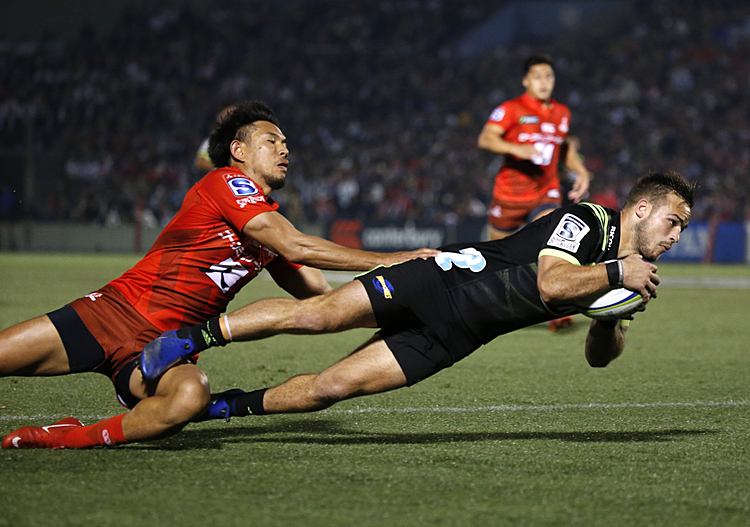 “For me, this is really good for helping the referee if they’re missing something." Salamasina will be using the seminar to meet more experienced referees as well. She said she can then pass that learning on to others back in Samoa. “You have to share your experience. “I have to bring something to the [Football Federation of Samoa], without the Federation I’m not there." There will also be a fitness test at the Doha seminar, to ensure all 75 referees are ready for the World Cup. “It’s very hard, but for now I’m not saying I’m afraid, I’m saying i’m ready. “I’ve prepared myself to pass the test, for my Federation, for my country, and for my family, and my church, everyone." 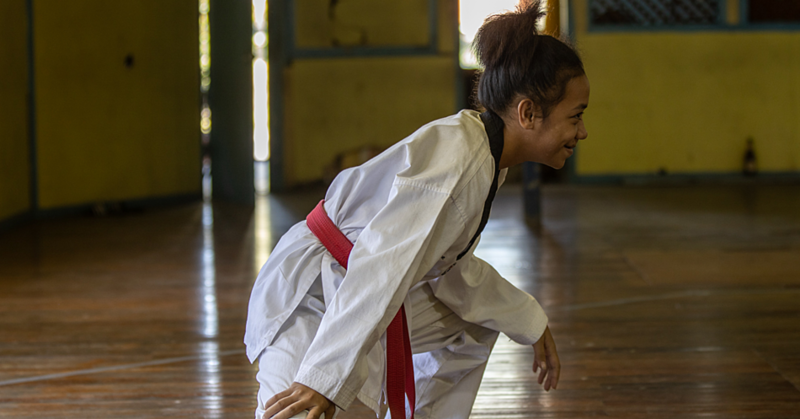 She has been working hard, training under her husband Papali’i Tala Salamasina to ensure she is fit enough. On Mondays, Wednesdays and Fridays, Maria does core exercises and strength training, and on Tuesdays, Thursdays and Saturdays she does high intensity training. “My husband adjusted the programme [sent by FIFA] because we have to respect Sunday, for me it’s very important. “I like the training, it’s good to prepare for the fitness test in Doha." Salamasina said to get better as a referee, one needs to "eat football". “Training, watch the clips on TV, your laptop. “The more tournaments you’re officiating, the more you get from experience." 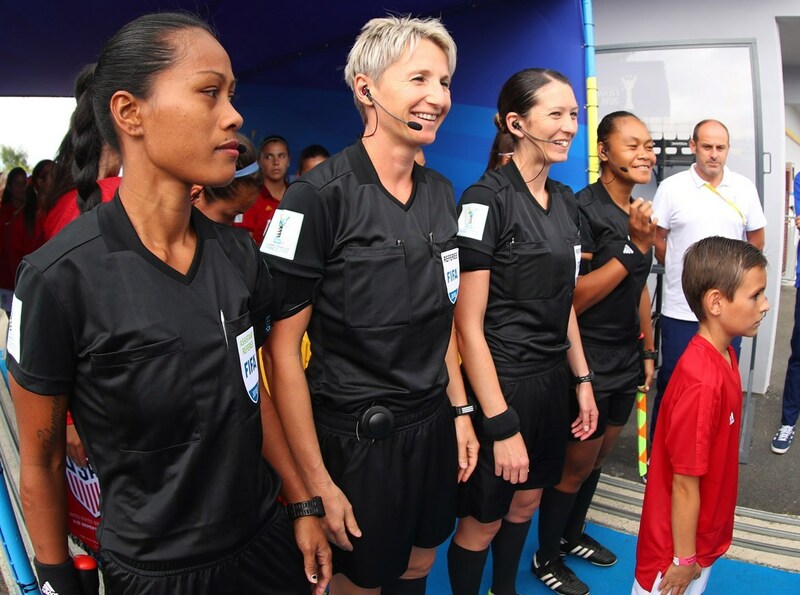 She will officiate at the World Cup as part of a trio put forward by the Oceania Football Confederation, alongside two New Zealanders - referee Anna-Marie Keighley and fellow assistant referee Sarah Jones. Salamasina first met the pair in 2016, when they did their first tournament together. “I’m very happy that we’re working together again." She thanks everyone at FFS for helping her get to this position, as well as her family. “My mum raising me up, to become what I am now. Salamasina also credits her husband Papali'i and their son who is turning seven. "He's annoying, but he's really supporting me."